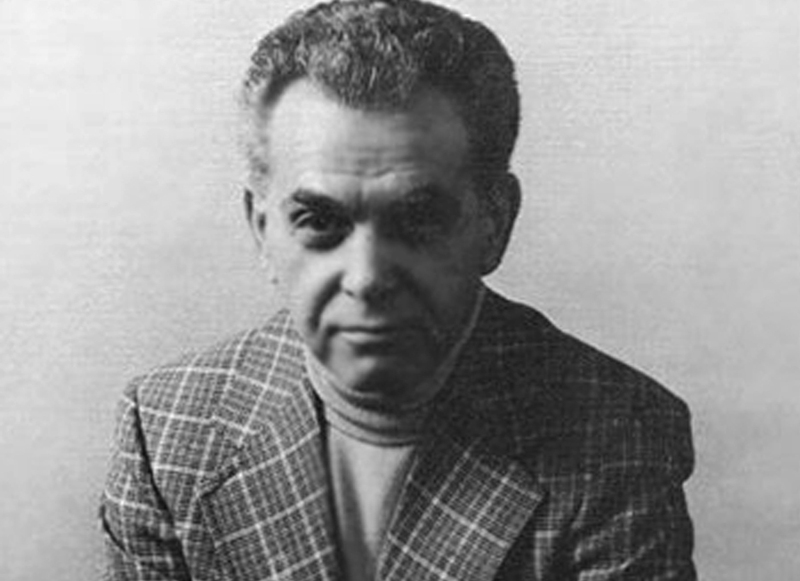 August 28 would have been Jack Kirby's 98th birthday. While Kirby has been gone since 1994, it's still a day to celebrate for a variety of reasons. First, Kirby's influence on popular culture is probably larger than it's ever been. The Daily Herald reports that movies featuring characters created or co-created by Kirby have grossed $6.7 billion world-wide. That doesn't count TV shows, toys and comics that are still being made based on his work. Another reason to celebrate is that this is his first birthday since his estate received a settlement from Marvel and Disney for his creations. While the amount is unknown, one hopes that it was significant given the earning power that Kirby's creations are still showing. Marvel, which for years downplayed Kirby's role, is once again celebrating him now that the legal battles are over. 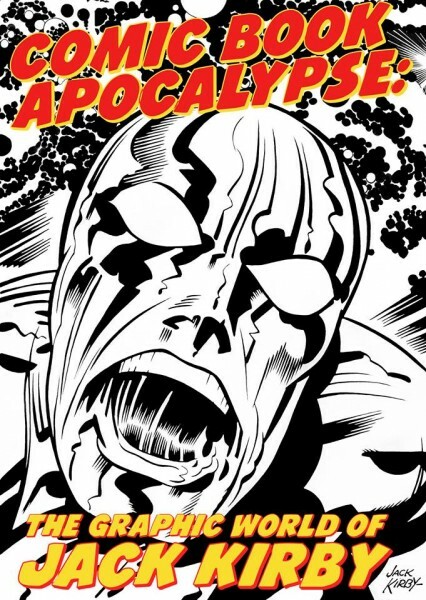 Charles Hatfield, author of Hand of Fire, an analysis of Kirby's work, has curated an exhibit of Kirby originals at the California State University Northridge Art Galleries that runs until October 10 entitled Comic Book Apocalypse: The Graphic World of Jack Kirby. If you're in the area, I would urge you to see it. As powerful as Kirby's work is in print, the originals are more forceful. Hatfield says, "The catalog is a monster: 20 essays on Kirby, most of them short and punchy, interleaved with more than a hundred images, most shot from original art. It's a joint publishing venture between the CSUN Art Galleries and IDW, under Scott Dunbier's eye and with design by Randall Dahlk, who designed IDW's incredible Kirby Artist's Editions. It's in production even now." If you are in the mood to immerse yourself in Kirby's drawings, Tom Spurgeon at The Comics Reporter has put together an online gallery of his work that spans a good portion of his career. And if you're looking for a more personal reminiscence, you can't go wrong reading Mark Evanier, who had the great fortune to work with Kirby and know him for around 25 years. As powerful as Kirby's images are, single images don't address his strength as a storyteller. I've just finished reading Invisible Ink: A Practical Guide to Building Stories that Resonate by Brian McDonald. It's an excellent book on story structure and one of the best books on story creation I've ever read. In his first chapter, he talks about structure in a way that illuminates Kirby as a writer. Often when I listen to how people evaluate stories, I hear them talk about dialogue. When they talk about "the script" for a film, they are often talking about the dialogue. Or when they mention how well a book is written, they most often mean the way the words are put together -- the beauty of a sentence. When people speak of Shakespeare's work, they almost always talk about the beauty of the language. These are all forms of "visible ink." This term refers to writing that is readily "seen" by the reader or viewer, who often mistakes these words on the page as the only writing the storyteller is doing. But how events in a story are ordered is also writing. What events should occur in a story to make the teller's point is also writing. Why a character behaves in a particular way is also writing. These are all forms of "invisible ink," so called because they are not easily spotted by a reader, viewer or listener of a story. Invisible ink does, however, have a profound impact on a story. More to the point, it is the story. Invisible ink is the writing below the surface of the words. Most people will never see or notice it, but they will feel it. Kirby often worked with collaborators, sometimes by choice and sometimes not. However, in telling the story pictorially, he was writing the story. The contents of each panel, the continuity from panel to panel, the choice of "camera" distance and angle, the composition, the character poses, the facial expressions, the use of black ink, etc. all told the story before the dialogue was added. As McDonald would say, it was the story. As distinctive as Kirby's images are, it is also his imagination and his storytelling that make him worth remembering and studying. Great blog post. Beyond the fact that Jack Kirby was the most creative person to ever inhabit the twentieth century he was also the greatest storyteller that comic books ever produced. Any page by Kirby that isn't a splash page is a lesson for any one wishing to learn how to tell a story in comic book form. A perfect example would be the sequence where the Sub-Mariner rescues a fallen Magneto in Fantastic Four #102. No outrages page layouts that have you guessing which panel to go to next. This is simple but not simplistic storytelling that gives you everything you need to understand what is going on. All of his work is like this. There are lessons to be learned in his work. Unfortunately with many comics today too much time is spent on detailing the art and not enough on storytelling. Great post Mark. I'm glad you enjoyed Brian McDonald's 'Invisible Ink', I've read his 'Golden Theme' and 'Ink Spots' which I think are very valuable for storytellers as well. Wish more animation students would read these books, and take some of the advice in terms of what to study as filmmakers.